I love, love, love books more than anything. Our family library (and end tables) are filled with all types of kids books, cook books, books on travel, and well, you get the idea. We all love to get cozy with a blanket, and a good book on these cold New England days, and we thought we would share with you some favorites! I am currently reading Bird by Bird but I highly recommend, A Moveable Feast by Hemingway. 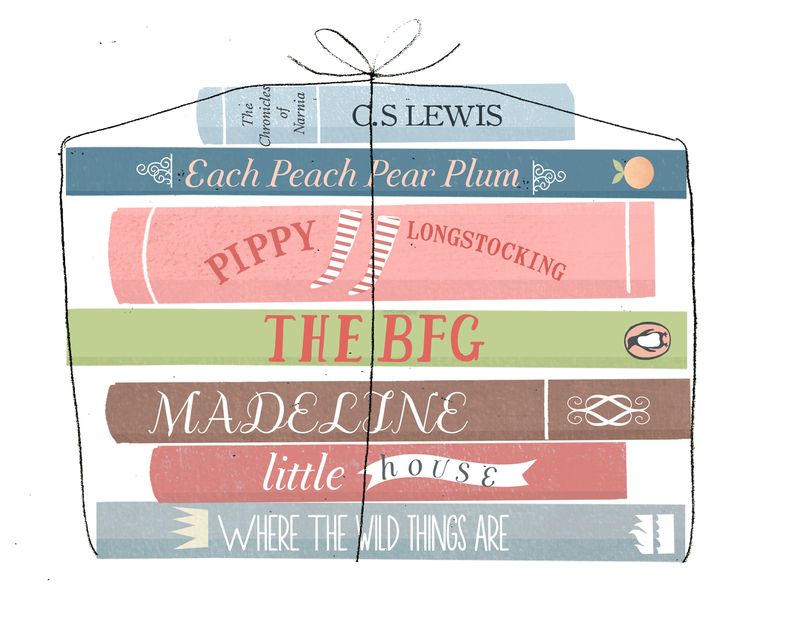 L is super into The BFG by Roald Dahl, but I included some of his past favorites as well like Each Peach Pear Plum. Happy Reading (and stay warm)!